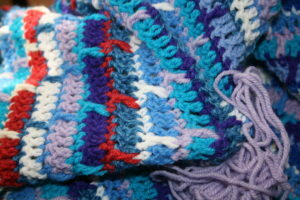 March every year is a month long celebration of crochet, as it is recognized as “National Crochet Month”. 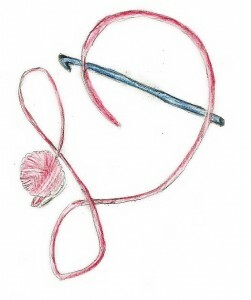 You will find “National Craft Week” in there to, but I do tend to focus on crochet. Lately, however, I have taking a bit of an introspective look. Usually when someone talks about the memories crochet creates they are usually referring something someone made. Maybe it is an afghan that grandma made, or a dishtowel that a favorite aunt created. However there is another crochet memory that crocheters sometime get to experience, and it is found in the yarn. 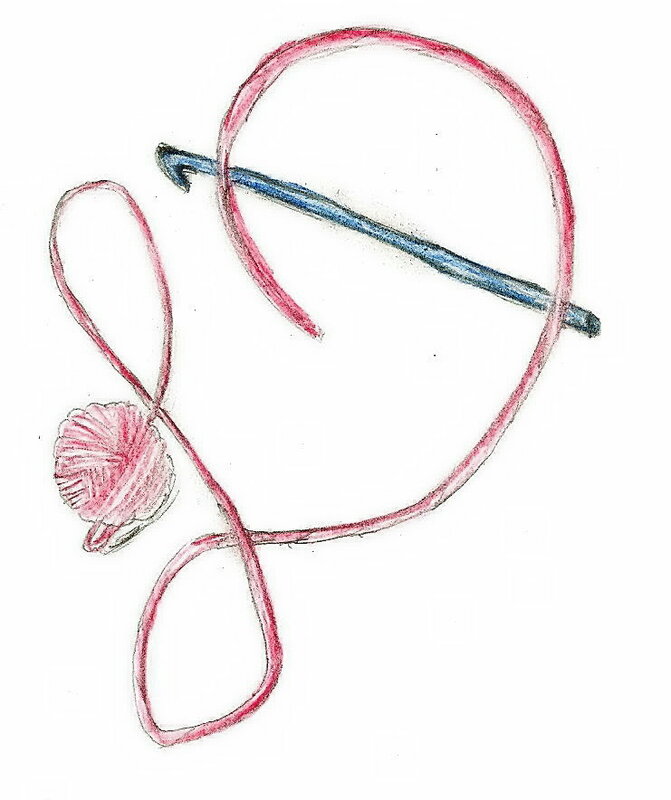 It is true that when crocheters create something special for a loved one or friend that they take time to figure out the right color, the right pattern, and think of this person often when creating the stitches. This is the process that some refer to as adding the love. However, this last week I have been reminded of another way to stitch, while looking at someone else’s thoughts and dreams. I have been crocheting with yarn that was inherited by be from one of my students that lost her battle with cancer this last year. I have had similar experiences in the past, making stitches from yarn chosen by someone else, for some perfect project that I am unaware of. I do not know why this color, or why this weight. I don’t know what the inspiration was. I only know that this was something that inspired her, something that wanted to be created. I may not know what the original intended creation for the yarns, so I simply pick a stitch and make an afghan. I later donate this afghan to various charitable organizations. I spend the time stitching, being remembering a friend. I wish I could say that this was the first such time I have stitched this afghan, but it’s not. It is a memorial for me, a bit cathartic, and bit therapeutic, and a bit of a tribute. Crochet continues to amaze me, how it is such an emotional part of life. This entry was posted in Crochet Understanding, Encouragement, website and tagged afghan, Crochet, dean, Design, ideas, inspiration, linda, Linda Dean, linda dean crochet, memory of crochet, pattern, stitch, Stitches, Yarn by webmaster. Bookmark the permalink.